We are just too busy, too occupied, too distracted, too over-scheduled. We try so many strategies: new calendars, to-do lists, New Year’s resolutions, and endless promises to ourselves to do less. But we don’t. So do these three things instead. 1. First, commit to practicing a 20 minute-long relaxation once a day. Lie down, set a timer, cover your eyes and totally disconnect from the world. This simple practice has proven benefits, chief among them reducing all the effects of stress in the body. This includes lowering blood pressure, improving immune function, positively effecting fertility, and reducing and sometimes even alleviating tension headaches. Letting go deeply for 20 minutes, especially in the afternoon when sleepiness and dullness overtakes the mind, is surprisingly rejuvenating and can improve mood and creativity. Many workplaces are now incorporating “nap spaces” as they find it really improves productivity. 2. Secondly, do not look at your phone during meals. Put it in another room and turn it off. Leave you phone in the car when you go to yoga class, to visit a friend, to go food shopping. Find times when you can be “off the electronic leash”. Build up to having a whole day of rest without looking at your phone. 3. Finally, look through your calendar every Sunday and see what you can take off for the following week. How much of the “things we have to do” are really just not that important? Can we give ourselves the gift of spaciousness by not scheduling so many things a day? Most of what we “have to do” can be done at a slower pace without pushing ourselves. Very few things are truly urgent. These three simple commitments will help you start finding more space and silence and ease in your life. You will have more time to create and reflect and this will be healing and energizing at the same time. The greatest luxury in an over-scheduled life is simply unfilled time. Learn to do nothing. Lie on your couch and look out the window. No music, no cell phone, no talking, nothing. We all crave more space and the cooling balm of uncluttered time. Invite emptiness into your life whenever and wherever you can. Soak in the silence and stillness to be found somewhere in your day. This practice is anything but a waste of time. It feeds the soul and nourishes our life. 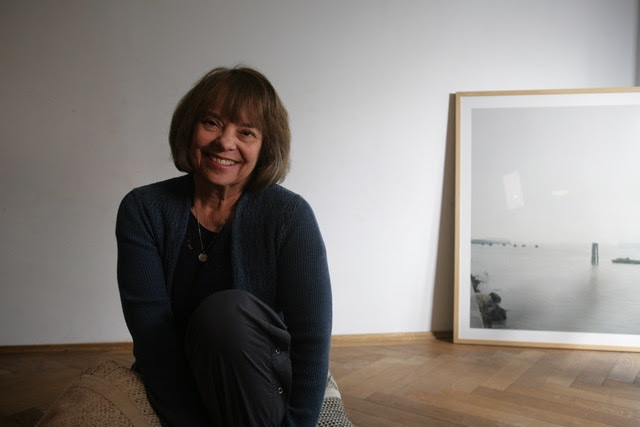 Judith Hanson Lasater, Ph.D., Physical Therapist, has been teaching yoga since 1971. She trains students and teachers throughout the United States as well as abroad, is one of the founders of Yoga Journal magazine, and is president of the California Yoga Teachers Association. She has written nine books.